What is the San Diego State University School of Public Health? For almost forty years, the SDSU School of Public Health (SPH) has made a difference in the local, na- tional, and international community. One of only four nationally accredited schools of public health in California, and located in one of the most vibrant and culturally diverse areas in the country, the SPH provides many opportunities for education, research, and community involvement to advance the state of knowledge in different health disciplines and to improve the population’s health. The SPH provides both undergraduate and graduate education in population-based health disciplines to prepare students for professional health and public health careers, and to enhance the knowledge and abilities of current health professionals. Graduates of our program go on to exciting, high-impact careers in many fields, including healthcare administration, epidemiology, environmental health and health promotion. They work in local, state, national, and international health agencies, hospitals, nonprofits, and corporations. What is the APHA Annual Meeting and Expo? The American Public Health Association (APHA) Annual Meeting and Expo is the largest annual gather- ing of public health professionals. More than 12,000 people attend, making APHA 2018 the most influential meeting in public health. The thousands of public health professionals who come together make APHA’s Annual Meeting and Expo a must-attend event. Why Sponsor the APHA SDSU Alumni Reception? APHA’s Annual Meeting and Expo is the premier public health event of the year, drawing more than 12,000 professionals and leaders from across the nation and around the world. At no other meeting are so many public health professionals and organizations gathered together to innovate, educate, collaborate, and address the challenges facing population-level health today.  This is a unique opportunity to connect with SDSU alumni from around the nation and to share information on the important work being done right here in San Diego to address challenges facing society today. The APHA SDSU Alumni Reception will be on November 12, 2018 in the Gaslamp area of downtown San Diego. The event will be attended by approximately 300 people, including alumni, faculty, and community partners. Remarks will be made by Adela de la Torre, president of San Diego State University. Event proceeds will support to the School of Public Health and help to cover registration fees for students to attend APHA Annual Meeting. All sponsors will be invited to join us at the Alumni Reunion. For additional information on sponsorship, please contact Natasha Bliss at (619) 594-1569 or nbliss@sdsu.edu.